You get a little bit of everything at the Antelope Island Endurance ride (it was around the 35th year of the event) on Antelope Island State Park in the Great Salt Lake in Utah: sun, clouds, rain, hail, wind, thunderstorms, absolutely perfect weather; trails both easy and challenging; and wildlife - birds and antelope and buffalo. And you get a lot of scenery. No matter which direction or what part of the 14-by-5 mile island you're riding, the scenery is nothing short of breathtaking, with the Great Salt Lake on all sides, and different snow-covered mountain ranges in all directions. The island has its own peak, 6596-foot Mt Frary, which often wakes up with a dusting of snow on its peak and ridges. I have not been to all the beautiful endurance rides I want to ride or shoot, but Antelope Island ranks in my top five of most scenic rides in the country. 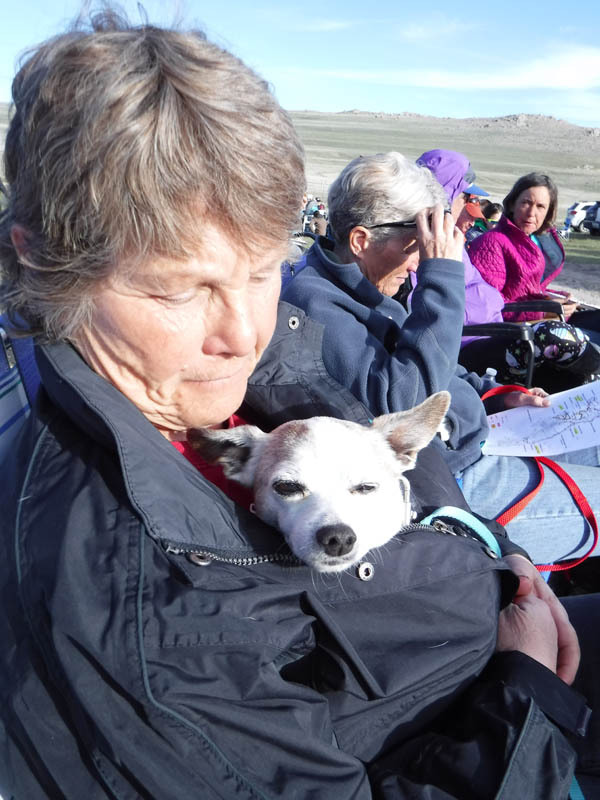 Every endurance ride has some unexpected events that riders and management have to deal with on the fly, and this year's Antelope Island ride was no exception. For example, ride manager Jeff was suddenly grounded from all ATV use (he may or may not tell you all this story one day :), and young volunteer Colby saved the day by biking some 10 miles early Saturday morning in a hailstorm to mark the last bit of trail. Then there was the loose horse late Saturday morning that ride manager Jeff got to climb aboard and ride down from the top of the island back to Ridecamp (the dis-mounted Junior doing her first ride was unhurt, but disappointed). 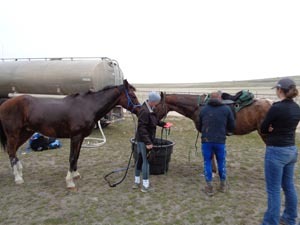 And don't forget the loose cantering 2-day 100-mile horse that the ride photographer (me!) caught near the end of day 2, where the rider was unhurt, and was able to re-unite with the horse and finish the 100. Head veterinarian Mel got biffed in the nose during vetting in on Friday (and veterinarian Jessica slipped right in there to fill in), and sported a broken nose and black eye(s) the rest of the weekend, but that didn't seem to faze her a bit since she already was sporting a concussion from a previous event. Another rider got biffed in the nose by her mount, and probably broke it, but completed her Saturday ride. You could watch a great variety of horse breeds at the ride: Arabians of course, mules, Missouri Fox Trotters, mustangs, palominos, appaloosas, paints, pony mixes, gypsy vanners, Standardbred, Thoroughbred. 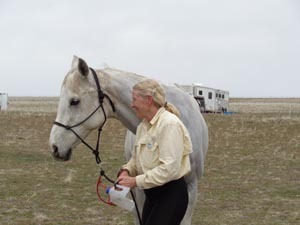 Dr Kathleen Crandall, ph.D. from Kentucky Equine Research, came to give a horse nutrition talk, and she got to slip out on a 25-mile AERC ride for the first time since 2003, and to volunteer the rest of the weekend. For the Day 1 photos, Jeff had in mind a little out-and-back climb to the top of the island at Beacon Hill Knob Spur, for a historical photo at the site of an old line cabin that ranchers used back in the mid-1800's to mid-1900's for shelter when working cattle on the island. (Of course, the island has erected a state-of-the-art communications tower and building not 6 feet from the shack, I guess so that the shack does not get lonely!) And lucky me, it is now occupied by a pair of nesting Ravens, who spooked off the nest, and entertained me throughout the morning with their aerobatics between riders. On top there by the shack, in the perfect weather window there's a view across the lake to the snow-covered mountains in the east…. which we mostly didn't see because of the hailstorm and thick clouds. Every 10 minutes the weather changed - often different for each rider that came by - and clouds and mountains played hide-and-seek around the island. One set of dark gray clouds boiled like water in a tea kettle, above a low strip of sunshine. Mt Frary ducked above and in and under clouds and fog. You have the option of several different rides over the 2-day weekend: an Intro trail ride on Saturday, and 25-milers, 50 milers, or a 2-day 100. 39 started the 25-miler on day 1 with 32 finishing. Amy Goodwin and Bubba Gump won in 3:05. 6th place Marc Lindsay and Bazooka Blue got Best Condition. 20 started the 50 miler with 19 finishing. Suzy Hayes aboard Sanstormm, and Jennifer Kaplan aboard Rushcreek Fiscus tied for first in 6:37, with Sanstormm getting Best Condition. On Day 2, 18 started the 30-miler with 14 finishing. Dana Cervak and Bubba Gump won in 5:14, with 3rd place Amy Goodwin getting Best Condition aboard Bazooka Blue. 7 started the 50 with 6 finishing. Jacob Cukjati won aboard Melika Kamaal in 5:34, with second place Suzy Hayes and Atlas getting Best Condition. Take note: 23,700+ mile Suzy Hayes has some 80 Best Conditions under her endurance girths, with 15 of them earned by Atlas and 4 by Sanstormm. 4 started the 2-day 100, with 3 finishing. Christoph Schork and GE Danex won in 12:57.16 and got Best Condition. Chetty Crowley finished her first 100, finishing second aboard GE RR Jazz Dancer (the riderless horse I caught as he cantered by me!) in 13:36.17. Third was Tennessee Lane and her golden Thor in 14:33. 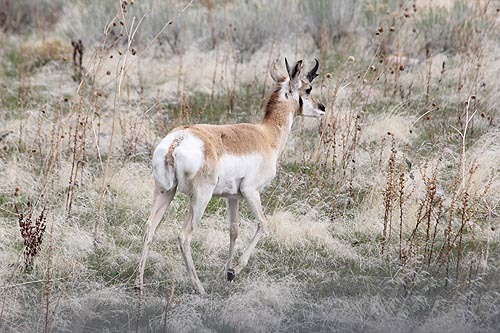 Antelope Island is in a sweet spot on the ride calendar with sweet trails. 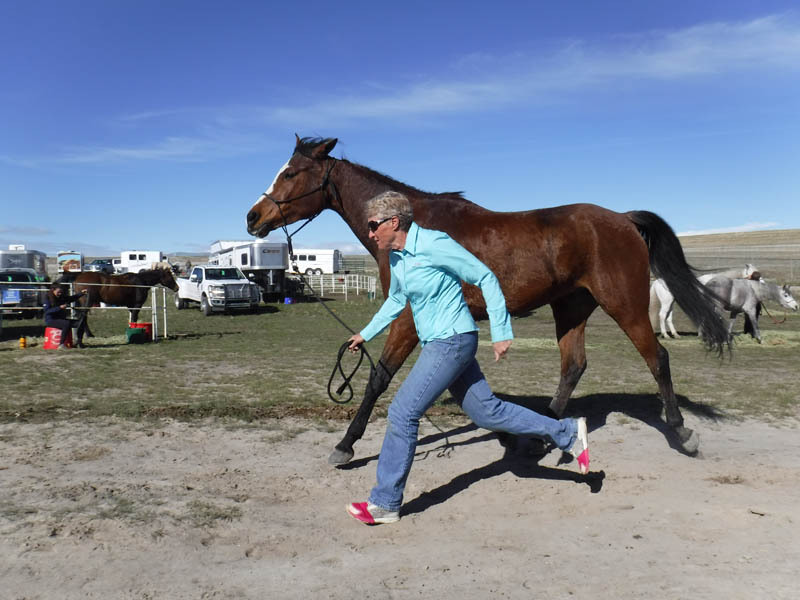 If your horse isn't quite conditioned from the winter, the trails are challenging enough to put some conditioning on him. If he is fit, there are plenty of trails you can move out on. And there's the scenery - it's worth the trip just to camp out or crew if you don't want to ride (but who wouldn't want to ride!). Put it on your calendar for next year! 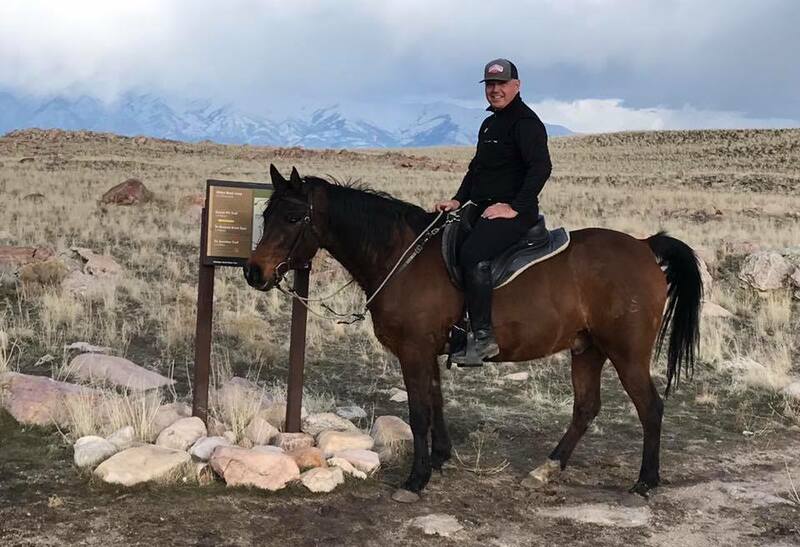 "Some exciting news about the upcoming 2019 Antelope Island endurance ride," said ride manager Jeff Stuart. 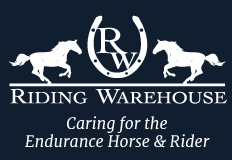 "Dr. Kathleen Crandell from Kentucky Equine Research has graciously agreed to come and speak about Endurance horse nutrition. We are so excited to have her come and share a career worth of knowledge with us. She will be riding the 25 mile ride on Saturday 13 April and speaking later that evening. You don't want to miss it." 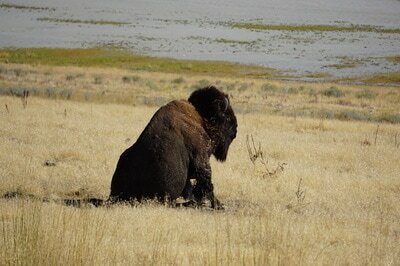 Antelope Island will be held April 13 and 14. 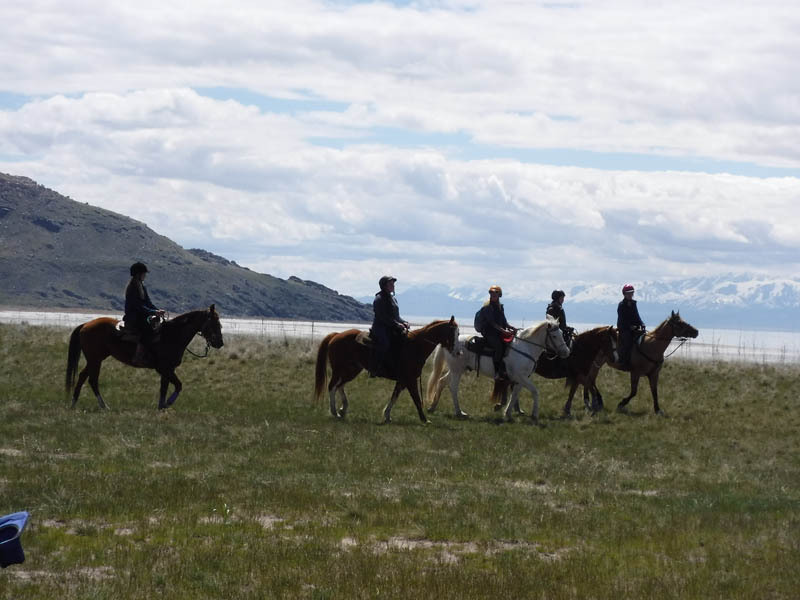 There aren’t too many endurance rides that rival the combination of challenging trails and a spectacular scenic setting for Ridecamp and the ride trails than the Antelope Island 2-day endurance ride on Antelope Island State Park in the middle of the Great Salt Lake in Utah. With lake views from almost every trail, and Frary Peak lording over the island at 6596 feet, any direction you look can take your breath away. 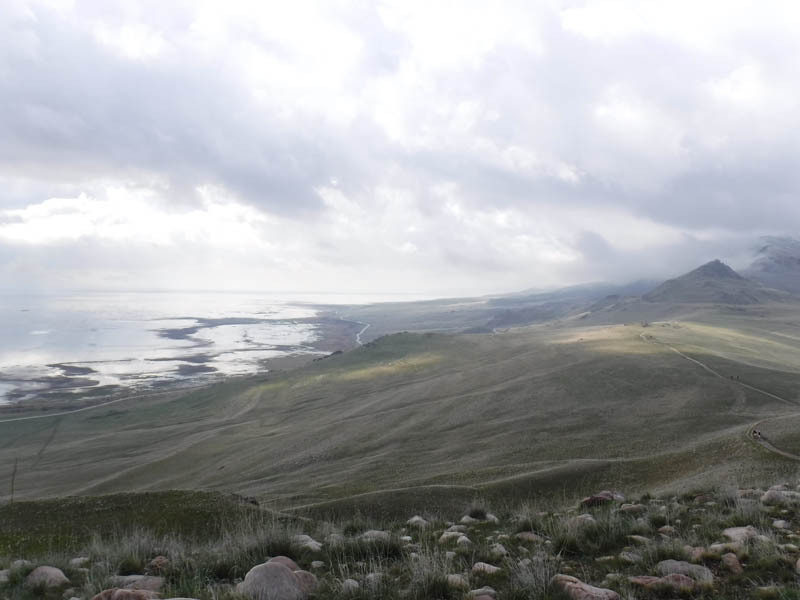 “Antelope Island is a little like Mongolia and a lot like the foothills of Mordor,” competitor Maddie Smith wrote. Many slices of the endurance pie showed up for the 38th annual Antelope ride: first-time riders, AERC’s winningest rider; a Tevis Cup winner; cowboys on their annual single LD ride; a skilled dressage rider doing her first endurance ride; an enthusiastic Junior doing his second endurance ride with his dad; veterans with tens of thousands of miles, 2 former Mongol Derby riders, 2 future Gobi Desert Cup riders. The horses were just as varied: Arabians to Paso Finos to Mustangs to Appys to Quarter horses to Paints to Curlys to Anglos to Shagyas, to a Kentucky Mountain horse. You had a variety of rides to choose from: Introductory rides on both days, an LD on both days, a 50 on both days, or a 2-day 100. This year’s ride weather was pretty spectacular compared to last year’s test of stamina and endurance: no rain, hail, thunderstorms or gusting winds. This year's cool weather and a slight breeze kept the gnats away most of the weekend… although if you rode out on the Split Rock Loop trail curling around White Rock Bay on Sunday afternoon, you had to ride with your mouth shut unless you wanted bugs on your windshield (teeth). 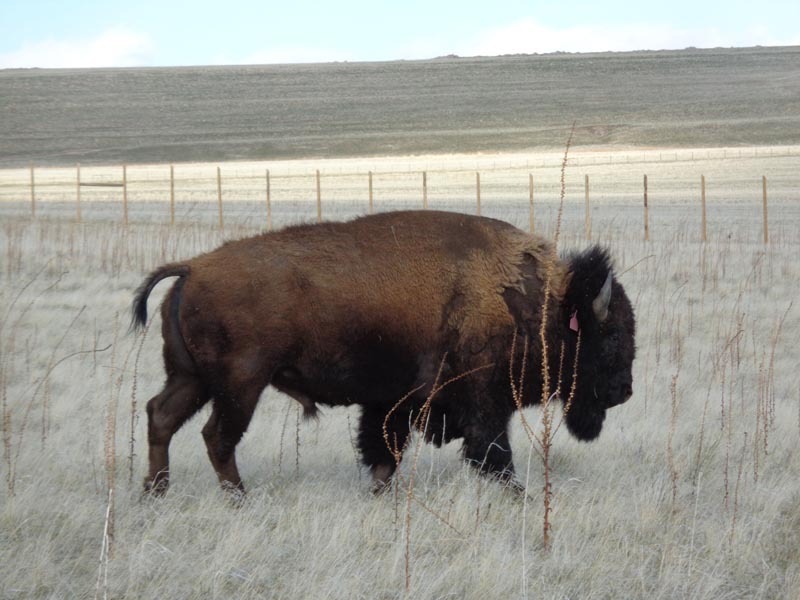 The island is well known for its buffalo herd, but the buffalo at this time of year were few and far between (or, rather, on the southwest part of the island where we weren’t allowed to ride because it’s calving season); but the antelope, the occasional lone buffalo bull, and the scenery did their best to make up for it. 55 riders started on Day 1: 5 in the 2-day 100, 18 in the 50, and 32 in the LD. There were also more than a dozen riders in the Intro Ride. Winner of the 30 was Brad Hanson on Chief, with Ronda Davis and Buster pulsing down a second later. 10th place Katalyn Senn and Echo got the Best Condition award. Miriam Rezine from Bluffdale, Utah, won the 50 aboard her little ‘pony,’ MG Crown Jewel in 5:27. Suzy Hayes and Sanstormm, and Bill Hobbs and LS Sir Gibbs tied for second place in 5:31. Sanstormm got the Best Condition award. 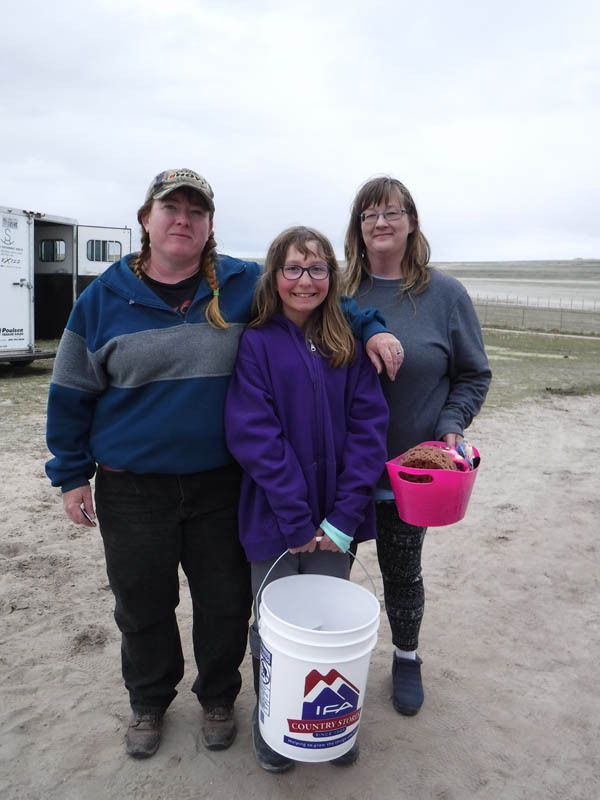 Suzy and her friend and crew extraordinaire Lynn Lee fled the bad weather of Montana for Antelope Island. 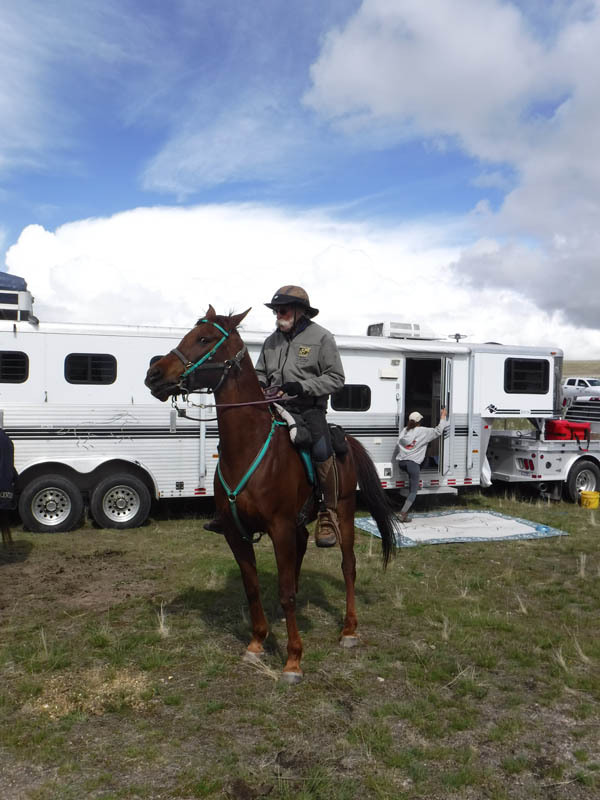 They bypassed a closer Wyoming ride because it wasn’t far enough away from rain and mud. There were no pulls in the 30 or 50. 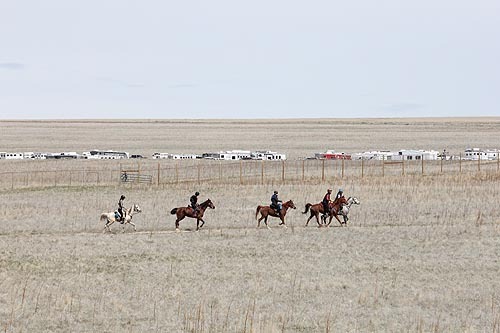 Five riders started the 2-day 100, with 1 pull at the end of Day 1. 13 riders started Day 2’s 25-mile ride, with 12 finishing. After finishing 8th and 9th on Day 1, Blackfoot, Idaho's Mike and Jessica Cobbley moved up to first and second aboard Talladega and The Big Brass, in 4:34 and 4:38. Dega won the Best Condition award, capping a great comeback on the endurance trail for a horse that colicked terribly last fall and almost died. But the tough little monster horse is back, and thought they were covering the miles entirely too slowly all weekend. 7 of 8 riders finished the Day 2 50, with Suzy Hayes easily winning the ride on her stunning Greenbriar Al Jabal. Suzy had planned to ride Sanstormm again, but didn’t like how he was moving in the morning, so she pulled ‘Atlas’ out of his hay and saddled him up. “He gave me the Stink-Eye,” Suzy said, “because he thought he was on an eating vacation.” Atlas smoked the 50, finishing in 4:31, an hour ahead of second place finisher Chetta Crowley - one of those Mongol Derby veterans, aboard Christoph Schork’s Pinky. 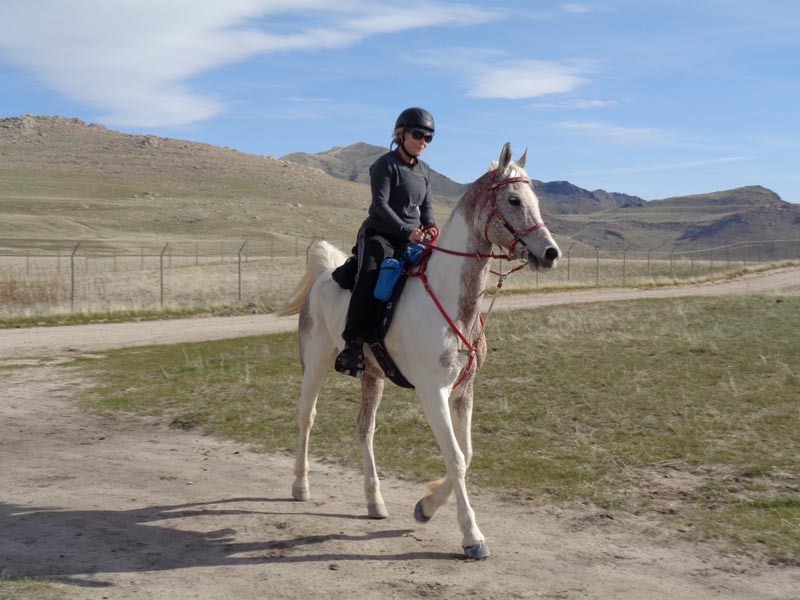 Chetta had started the 2-day 100, and when her horse was pulled after Day 1, that left her free to ride the 50 on Pinky, riding with Christoph’s group on their second-day 50. Christoph, aboard his War Mare and 100-mile National Champion GE Pistol Annie, and Stephanie Chase, aboard DA Serabarrs Secret, tied for the 2-day 100 miler win, in 10:52. Maddie Smith - the other Mongol Derby veteran - finished with that pair in third aboard GE Medinah MHF, and Tennessee Lane rode Gambler to fourth place in 11:46. Pistol Annie won the Best Condition award. Ride management does everything they can to keep riders happy and coming back, and chalk this year up as another success. 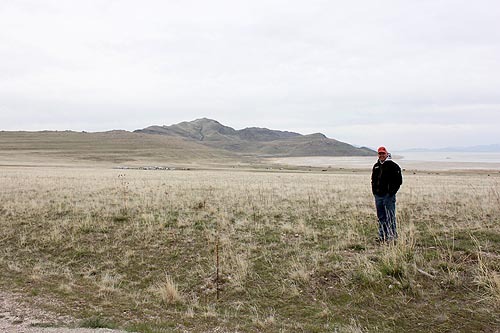 Jeff Stuart has been ride manager for the Antelope Island ride since 2014 (and been helping long before then), and he likes to show off “our island. I just want everybody to have a good time,” Jeff said. The Indispensables, Shirley and Dennis and Terri, kept things running smoothly behind the scenes, and Regina Rose brought her calculator mind and computer program for the paperwork. If you haven’t done this ride before, put it on your calendar. It’s a beauty. 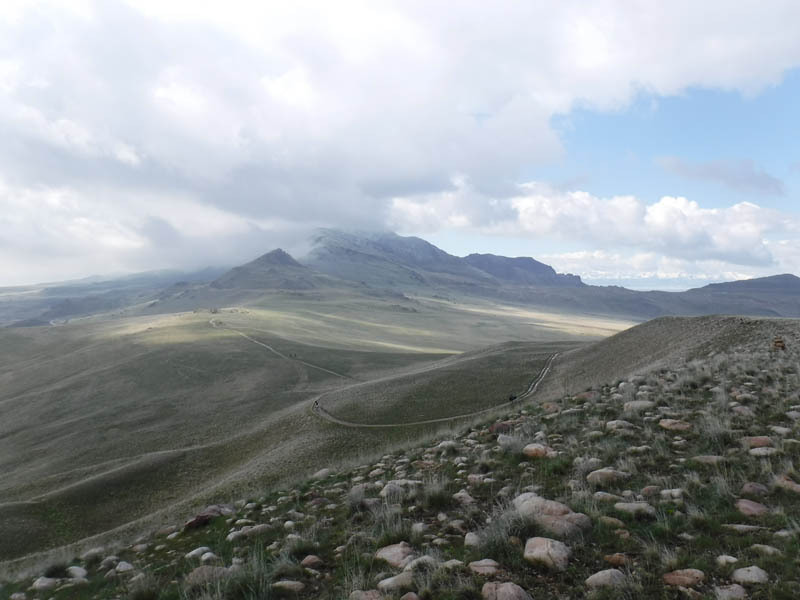 Antelope Island Endurance Ride is one of the premier rides on the AERC calendar. Come experience one of the great landmarks in the State of Utah. This will be our 35th Year of holding this ride. We welcome all to "My Island".